Developed by Digit Games Studios and published by Scopely, that brought us several great games based on popular franchises like WWE Champions, The Walking Dead: Road to Survival, and Looney Tunes World of Mayhem just to name a few, Star Trek: Fleet Command boldly takes players where no game has ever taken them before… or at least not in the same way. 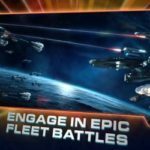 Star Trek: Fleet Command is a free-roaming multiplayer online strategy game that lets you explore the vastness of space aboard your very own starship. Battles happen in real-time against a variety of enemy ships as well as hundreds of other players scattered across the galaxy. The RPG-style quests and story progressions provides a general direction of what players ought to do and where to go but at the same time everyone is free to roam and explore the galaxy as they please. 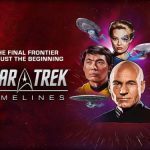 There are upgrades to be done on your starbase as well as your starships and you get to choose the captains and crew for your ships from among a wide roster of characters from the Star Trek movie reboot franchise. Whether you are a fan of the popular franchise or very much into real-time strategy games, Star Trek: Fleet Command has plenty to offer and can provide hours after hours of fun and entertainment. As the commander of your very own starbase, Star Trek: Fleet Command takes you on a journey of epic proportions as you beam up to your starship and explore the vast galaxy space-warping from one star system to the next. As you visit new and unique planets, you can take on a variety of missions that can take you across space. With each accomplished feat, you can earn resources to sustain your starbase’s development, acquire parts to upgrade your ship, and even recruit new officers and promote them to form the best crews for each of your ships. You can battle hostile enemies and other players in real-time as well for more resources and glory. You can join alliances to help you speed up development as well as earn additional bonuses for the seemingly never-ending needs of your base. There are hundreds of missions to and in several instances you will be free to choose which ones you want to take on next. As your multi-tasking and strategic skills are put to the ultimate test, you can take some time off and just explore across the galaxy to discover what more is in store for you and your crew. 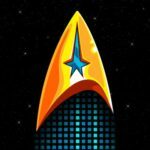 Star Trek: Fleet Command provides a nifty tutorial that walks you through the initial phases of the game and properly introduces you to the basic concepts you need to understand to progress on your own later in the game. As much is presented through an introductory part of a developing story, following the missions associated with it will be your constant guide for the most part of the game. The way structures in your starbase are upgraded may seem unfamiliar, most of the other mechanics of the game can be easily grasped. The various on-screen icons, with the occasional highlights are very noticeable cues for you to check on items where an action may be required. All-in-all, understanding the game is really easy, but the strategy part may take some time for any player to master. 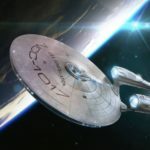 If you recently started the game and are having difficulties understanding some concepts or perhaps you progressed far enough but want to know more about how to progress more efficiently, then our Star Trek: Fleet Command beginner’s guide can help you achieve that. As your first few minutes in Star Trek: Fleet Command takes you through an introduction to its story and gameplay mechanics, you should continue on with the succeeding missions as indicated on the lower left hand side of the screen. You can also click on the exclamation mark, to view the list of pending missions you have to accomplish. Take note that story missions are always at the top and some of the missions just cannot be accomplished yet (potentially at the bottom) but are shown there as future targets anyway. As you venture from one landmark to another and one star system to the next ones, you will notice exclamation marks that may not be a part of the missions you have activated. You can approach such planets and accept all missions available and see which ones you can accomplish along with the others. Just be sure to try and prioritize the story missions as these missions will unlock more features and even officers that will help you progress further faster in the game. Additionally, be aware that some missions, even when highlighted will not give you helpful hints as to where you can instantly travel to for you to accomplish them. As such, you need to read through each one as some can be accomplished in multiple areas or star systems. Missions that involve destroying hostile enemies of or above a certain level and mining missions are good examples of these types of quests. There are plenty of things to do in Star Trek: Fleet Command in that you will be very busy as you play and may forget about some of the basic necessities you need to keep an eye on while you are trying to accomplish one mission after another. Although building and upgrading structures in your starbase form part of these missions, a lot of the things you need to spend your time on are not. As you progress further in the game, you will unlock a research facility and performing some research will greatly improve your productivity, as well as your base and starships’ overall performance. Be sure to try and continuously do research and try to look into the requisites for some you cannot accomplish yet. As some research items are dependent on certain levels attained by some of your structures, try and prioritize those so you can do some research while building or upgrading other structures that are needed. Depending on how much you play and how fast you progress, you can unlock and own a second ship already on your first day of playing. This will be a more powerful ship compared to your first one but more importantly, now you can do more things as you can send each one independently to finish more missions. As you may initially find it challenging to constantly shift control form one ship to another, you can always mentally assign objectives for each ship. Travelling to and from one star system to another takes time as well so while waiting for that, you can focus on the other ship. In case you want to just focus one ship for most of your missions, you can leave one to do some mining of resources to keep it productive on its own for an hour or more. Don’t forget to also grab the resources that your starbase generates over time as the generators can only continue to produce as much as your warehouse can store. Check the details of each to more or less determine how often you have to pay your base a visit to claim resources. You can also make it a habit to collect resources every time your ships come in for the necessary repairs. Like in most base-building strategy games, there are items you can use to speed up production and research. Similarly as well, these resources ought to be spent more discreetly as they are very limited and not that easy to acquire, especially the ones that offer a bigger boost. This is one of the reasons as well why you are in great need of being part of an active guild. As more members are consistently available and helpful, several minutes may be taken off your production time through alliance help and will enable you to spend less of the speed ups in your inventory. Therefore, after initiating an upgrade or research, be patient enough to wait for alliance members to help you out before you decide to use your speed ups. Also remember that you can instantly finish a construction or research once the countdown drops down to less than five minutes. This means that using speed ups that take time down lower than five minutes is a waste of it. Your goal when using speed ups should instead lower the timer down close to being able to instantly finish the task for free. Lastly, but equally important as well, be sure that you really need to speed things up before spending those boosters. It may happen that you sped production up but then had to go offline leaving everything idle. There may also be occasions when you sped up an upgrade but then realized you don’t have enough resources to proceed to the next one. So just to be sure, plan a little ahead and check your resources before deciding to spend your speed boosters as you will most definitely be needing a lot more of them later on in the game. Once you become a member of an alliance, be sure to help others out with their production and research as you will also be receiving plenty of helping hands to speed up your building and research. You can also receive additional gifts when any alliance member makes a purchase at the alliance store. Try to contribute more as well by donating some resources to boost the alliance’s growth. On your travels to various star systems in pursuit of accomplishing your current quests as well as searching to discover new ones, you will constantly see other ships travelling around. Blue Ships are other players like you and Purple Ships are your fellow alliance members. The Red Ships are enemies which you should always seek to destroy whenever you can. Each ship’s level are displayed beside its name and tapping on any ship will reveal its strength, potential rewards, and an option to scan or attack the said ship. Although there’s a cue on the upper right side of the details to know if taking on the ship will be an easy or a hard battle, you can choose to scan to see additional details as well as lootable cargo when available. There will always come a time when the enemy ships in your area may become too easy for you and offer very little challenge, rewards, and experience. If that is the case, feel free to venture out to other star systems to hunt more power enemies that you can defeat. Your ships may have varying power levels so keep in mind that you can freely send them to different areas if you need to. Always remember to recall your ships and repair them after a few battles. Depending on how strong the enemy ships you are hunting are, you can clearly notice how much of your star ship’s armor has been peeled of and be able to assess how many more battle you can engage in before sending each of your ships home. There are numerous in-game rewards from missions and milestones that give you the necessary materials you need to upgrade your starships and recruit and promote crew members. As both these sets of enhancements are aimed towards strengthening your ship, be sure to do the necessary upgrades whenever you can. Ship XP can be acquired from various missions throughout the game and although you can gain experience as well from hunting and destroying enemy ships, using these resources can speed up the process a lot faster. Depending on your starship’s tier number, levels are capped and the only way to progress further is to rank up your ship. To do that, you must fully upgrade your ship by using ship parts that you can mostly acquire from battles, as well as Tritanium, which is a fairly common resource that you can generate and mine. As your ship continues to level up, it can hold additional crew members which further boost its stats and abilities. Progressing Star Trek: Fleet Command’s main story missions will often reward you with officer shards and you can always recruit more using Recruit Tokens that you can easily earn from a variety of missions and in-game rewards as well. You can level your officers up with Officer XP up to a certain level. Once you reach the maximum level of the first rank you must find more shards and promote the officer to the next rank to be able to continue levelling them up. As you progress through the game you will unlock more ships and recruit more officers to form part of each of your ships’ crew members. As the challenges of missions grow higher as well, you must begin to allocate your resources and manage your ships and officers more strategically. Doing so will be more beneficial for you the earlier you start with it. For starters, you should prioritize on strengthening the best starship you own more than the others. As far as Ship XP and parts go, make it a point that you should use it for your main ship and only do upgrades on other afterwards. This will be your ship that primarily focuses on battles or even mining resources from dangerous areas. The other ships can be used for exploration and not be left out of your sight too long in case some players decide to have fun with it. As there will be missions that only require you to travel across star systems and explore, your secondary ships can very much handle those tasks. As far as officers go, RNG may make an impact on which ones you can promote faster. On top of levels and ranks though, be sure to check each officer’s abilities and choose the best ones to man your “battle” starship. Remember that you may receive a lot of Recruit Tokens and free officer shards from completing some missions in your journey. Be sure to check the list of officers you have from time to time as some may outclass others who were stronger than them before. While on the Missions Screen, you can press the Daily Goals Tab which enumerates some pretty easy goals for you to accomplish within the day. As some of these goals actually coincide with the regular tasks you do in pursuit of accomplishing your missions, you will be able to accomplish some of these tasks without actually even knowing the specific goals. Still, though, you should check it to see what objectives are still required so you can aim to accomplish those and earn the chest rewards. As you earn certain points for each objective that you accomplished, initially targeting to get 100 points is good enough to grab all 3 treasure chest rewards. Of course if you still want to accomplish the remaining tasks, feel free to do so as the rewards you can earn here are each important for you to progress faster since you can never have more than enough of any resource in Star Trek: Fleet Command. There are several free treasure chests that you can grab in Star Trek: Fleet Command from time to time and whether you are playing the game or not, these chests continue to become available. The most basic one you can grab becomes available once every 10 minutes and the next one is free every 4 hours. The last one, which contains more valuable rewards, can be obtained once every 24 hours. Be sure to grab these chests as they become available so the countdown towards the availability of the next one will begin. While the 10-minute chests are most common, they still contain very rare rewards like Latinum, which is the top premium currency in the game. One of the best sources of great rewards is the time limited events that simultaneously happen in Star Trek: Fleet Command. Be sure to click on the Events Icon on the upper right hand side of the screen to view the objectives and duration of each of these events and focus on spending some time and effort to accomplish them. While resources and upgrade materials may be obtained from various other sources, some of the rewards you can obtain here are difficult to acquire anywhere else. That concludes our Star Trek: Fleet Command beginner’s guide. If you read through each item in our guide and play the game long enough, you will most definitely progress faster and reach new levels ahead of players who may have started out earlier. No need to worry though as you can always catch up to anyone by adhering enough to our tips and strategies and putting in a little more time and effort into the game. As Star Trek: Fleet Command promises to provide more updates and a global launch by the end of this month, now is the best opportunity for you test what you have learned here and progress your stories and levels in preparation for future updates and features. As this is first and foremost an exploration game, you may discover something we haven’t in the vastness of space as exhibited by the game. We will be happy to hear of additional tips and strategies you may have discovered so feel free to share those with us in the comment section below! Thanks Philip for all the great pointers. What I’d like to know, and this is probably a rudimentary issue but one I can’t seem find an answer for …. how do you actually move your space station to another location? You find the new system that you want to be in AND it must have open slots. Then when you click on the station, there will be a “relocation” button. You must have a relocation token too. They are fairly common, Click on items (3 stacked squares), top left, then on the bottom right, the “other” button. Scroll down to the Misc section and look for a “Relocation Token”, the icon is a top view of a station with 5 arms. A Relocation is free as long as you have a token. You will find that moving is smart when you need a different resource or if too many people start picking on your base. Base attacks are not that common and the stronger your base, the better off your will be too. I don’t understand two things 1) how to recruit? @0 how to move to a different solar system? I know these are dumb questions but I am only on my second day. Recruiting is simple. You have varying tokens that have varying levels of crew. Basically they are tier based. If you want to excel deeper into the game, you will need a more powerful crew. You need a finite number of “cards” to recruit your first officer, and additional finite number of cards for promoting an officer. Once you promote an officer, you need to level the officer before you can promote them again. One tip that was not given about moving your station to another solar system. First, you are given two relocation tokens. Do not use these tokens loosely. You will not gain anymore unless you purchase them with real US dollars to get relocation token. I would wait until you get to level 15+ for your first relocation. To relocate, all ships have to be recalled back to the Station. If you do not know how to do this, simply click on the ship, and click the recall button. Once recalled, view the system you want to relocate to, select a planet that has available space, and it will prompt you if you want to relocate. @Kevin, You are given more relocation tokens without spending money. That is bad information, please ignore it! I’ve moved several times (once I moved to far advanced and had to relocate back) and I’ve never purchased a relocation token. I have a few spares in inventory as well and my account level is 11 (12 in about 2 hours). Hope that helps ease concerns of pay-to-play. One piece of advice here, to picking where you go: always try to keep your station in an area of equal or 1-3 levels higher. You get a daily mission to kill x# of enemies that is always your level or higher and it goes toward your daily rewards. Those rewards are extremely helpful to someone in a smaller alliance (which everyone is until >200k power, the larger alliances won’t even look at you until then). Make sure you do your daily missions… daily! How do you name you ship?